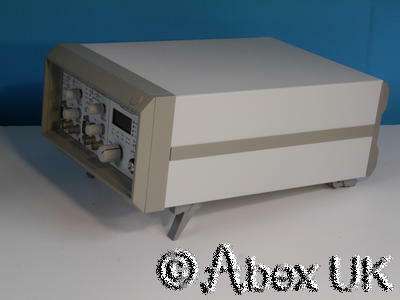 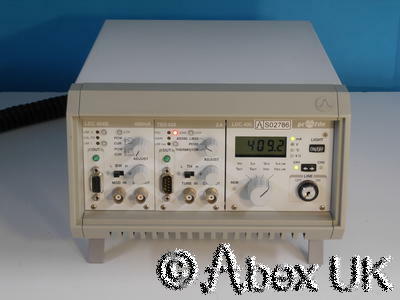 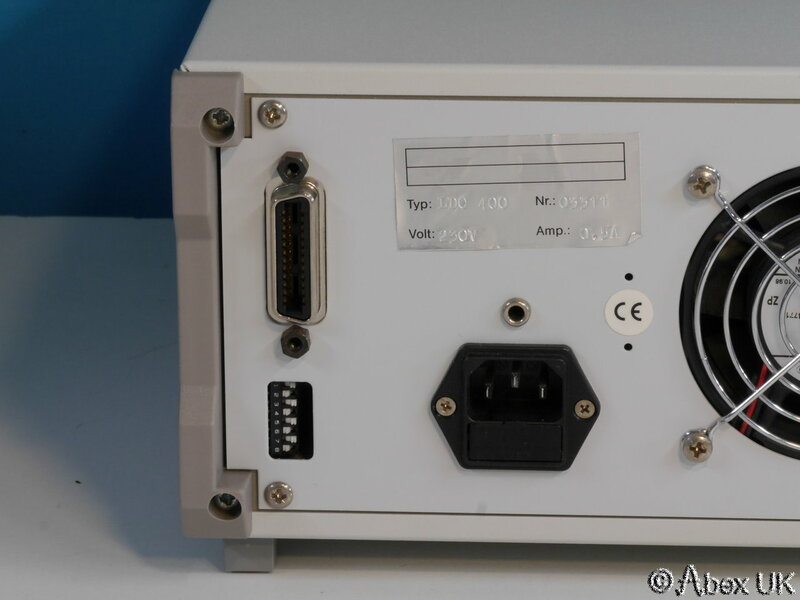 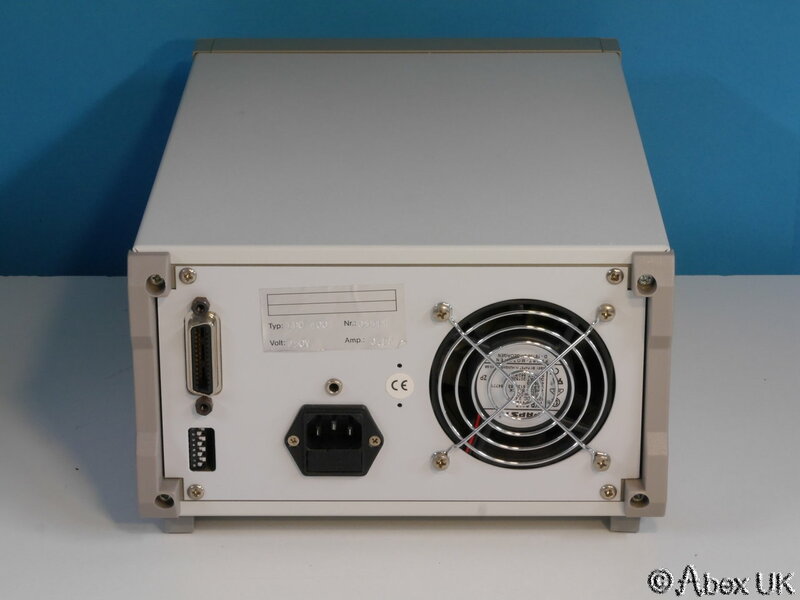 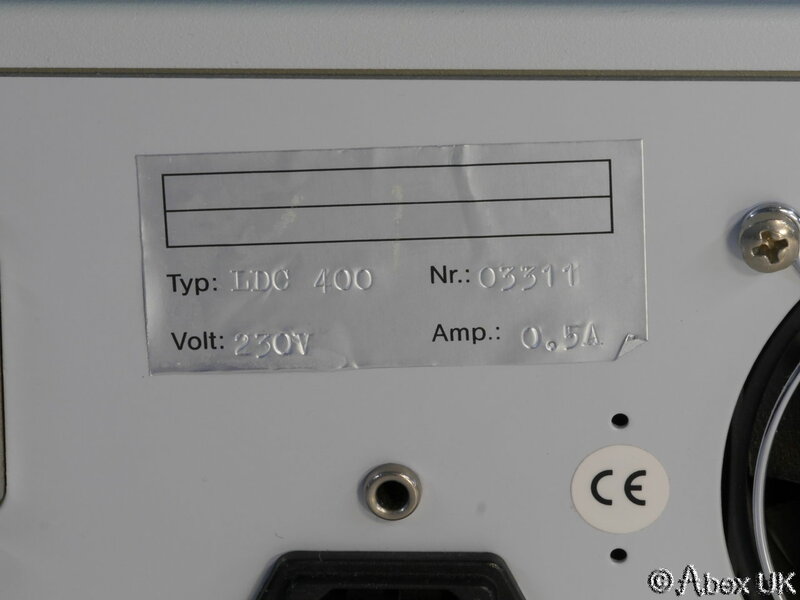 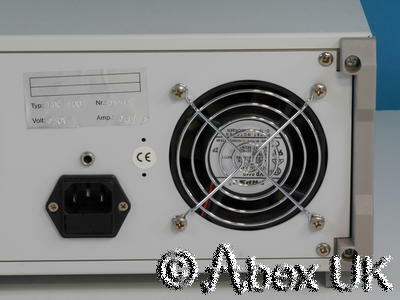 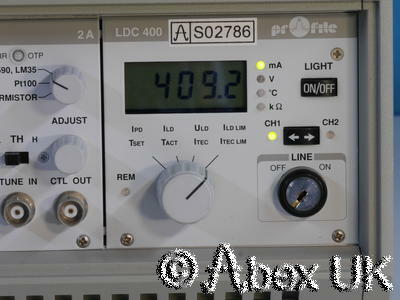 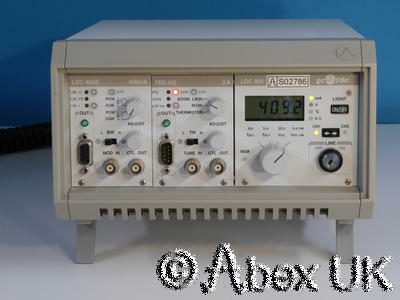 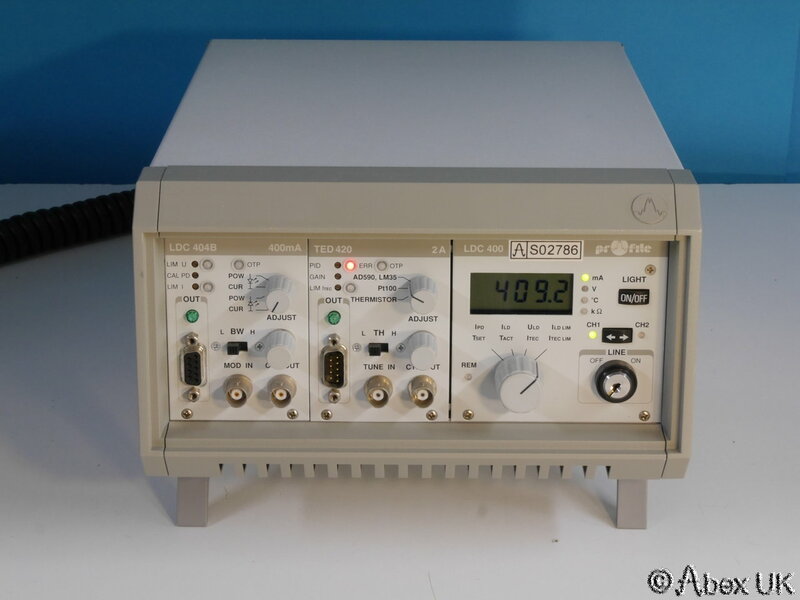 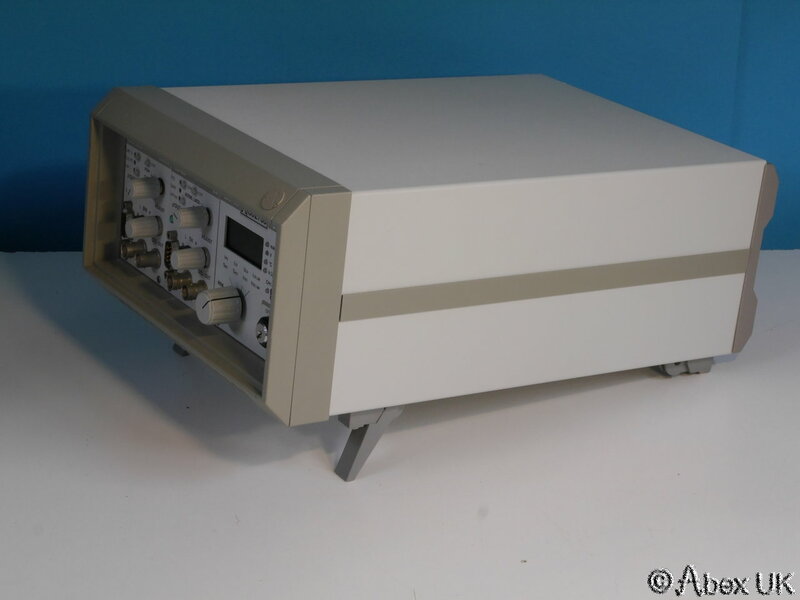 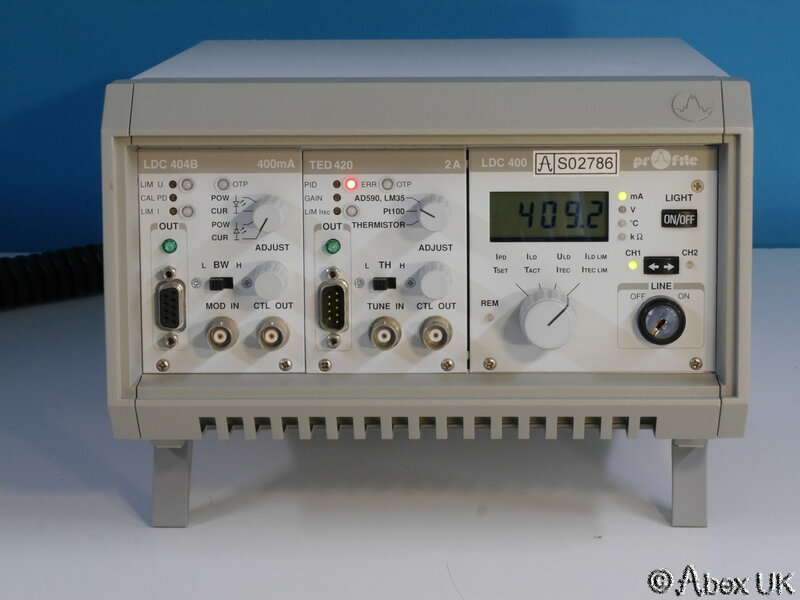 The Profile (Thorlabs) LDC400 is a combination laser diode driver and TEC controller, used for precision control of diode laser modules with wavelength stabilisation via temperature control. The diode current is adjustable up to 400mA with current or PD control. 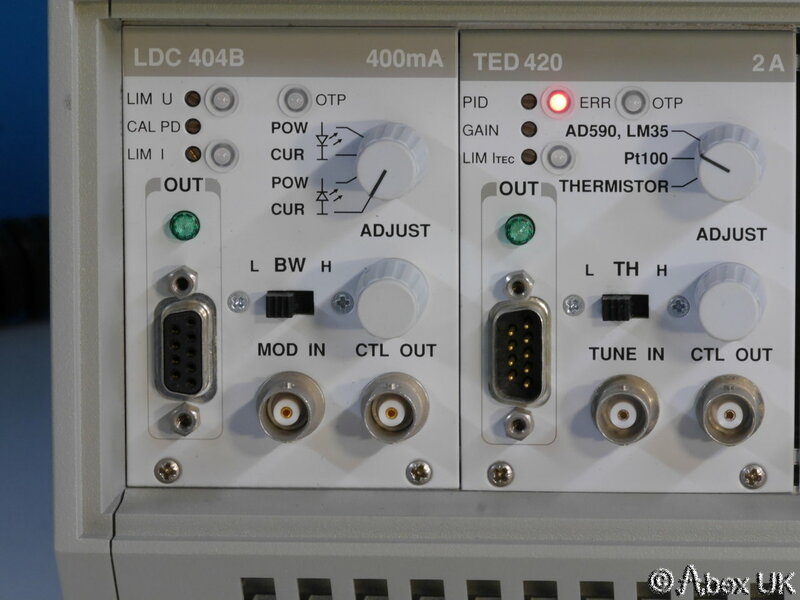 The TEC controller will provide up to 2A of drive current with feedback via LM35/PT100 or thermistor sensors. We do not have the power switch key, this is not a "high security" type - it is easily replaced. 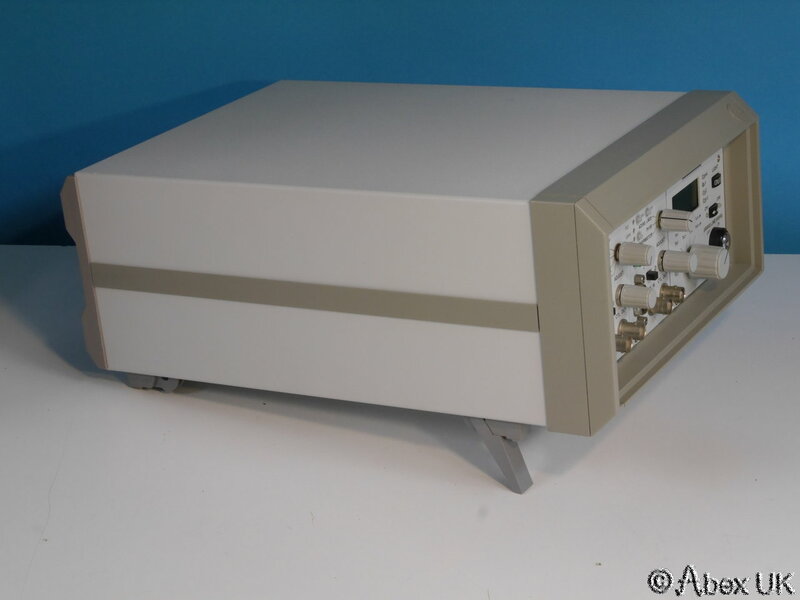 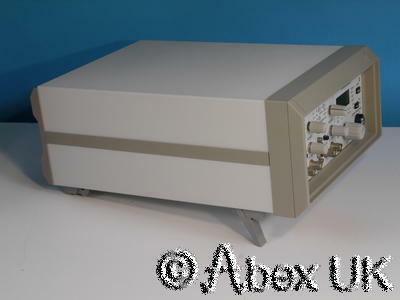 This unit is in excellent cosmetic condition, pulled from a working laboratory environment and in full working order.